During Monday's Raw episode, WWE announced two new matches and a stipulation for Michael Cole vs. Jerry Lawler at the Over the Limit PPV on Sunday. -- For the WWE Tag Titles, Big Show & Kane will defend against Nexus's C.M. Punk & Mason Ryan. -- In a grudge match, Rey Mysterio will face R-Truth, who attacked him at the end of last week's Raw and again during this week's Raw. -- Cole vs. Lawler will now be a Kiss My Foot match. The previous stipulation confirmed on this week's Raw is Lawler must induct Cole into the Hall of Fame and give up his Hall of Fame ring to Cole if Cole wins. -- WWE champion John Cena vs. The Miz in an I Quit match for the WWE Title. -- World Hvt. champion Randy Orton vs. Christian for the World Hvt. Title. -- Intercontinental champion Wade Barrett vs. Ezekiel Jackson for the Intercontinental Title. 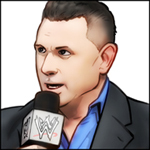 -- Jerry Lawler vs. Michael Cole in a Kiss My Foot match - Lawler will induct Cole into the Hall of Fame and give him his HOF ring if Cole wins. -- Rey Mysterio vs. R-Truth. -- WWE tag champions Big Show & Kane vs. Nexus's C.M. Punk & Mason Ryan for the WWE Tag Titles.